Holiday Cottages Mevagissey in Cornwall for holiday lets. 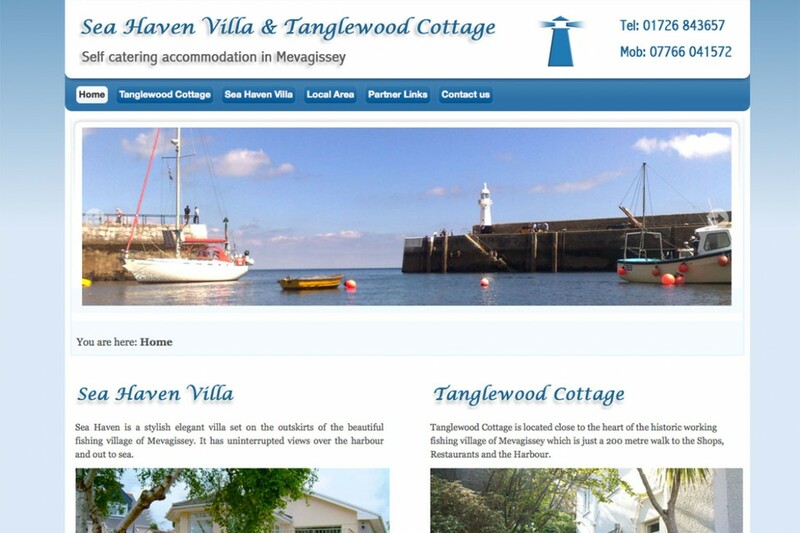 The client wanted a website for two of his holiday cottages in Cornwall. Tanglewood Cottage and Sea Haven Villa are both in the historic fishing village of Mevagissey just a short walk away from the harbour. The website reflects the quality of each cottage allowing booking directly with the owners.